Are you a string player and music teacher, or are training to be one? 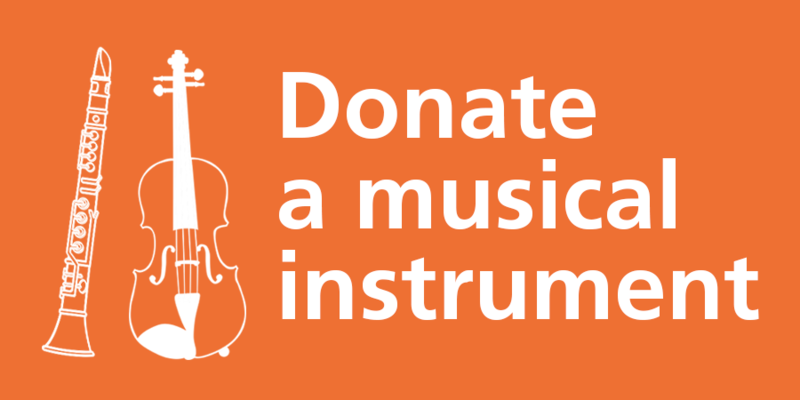 Heard of El Sistema and want to work with two of their best teachers? Keen to meet other teachers and learn some new music together? If so, bring your strings and join us for Sistema Sounds! El Sistema teachers Ron Alvarez (violin) and Félix Briceño (conductor), teachers from In Harmony Lambeth and young musicians from The Nucleo Project, welcome you to beautiful Wheatsheaf Hall, home to In Harmony Lambeth, for an intensive rehearsal of Venezuelan repertoire for strings, followed by an informal performance open to the local community. There will also be an opportunity to ask questions and discuss ideas, and a mix of repertoire that may work well with your students and some pieces for your own learning and enjoyment. Sistema Sounds! comes at the end of Ron & Felix’s five-week residency working with the young musicians and teachers at In Harmony Lambeth, In Harmony Liverpool, Sistema in Norwich and The Nucleo Project. We will let you know if you have a place within 72 hours of your email. If accepted, we will send you a link to download the scores and parts. We will send you directions to Wheatsheaf Hall. What if I really want to come but I’m not a teacher? We are prioritising places for teachers, but if there is space we want to welcome as many people as possible who want to come. Tell us a bit about yourself and we will manage this on a case by case basis. Join us in celebrating the joy of making music together.